NOOSA Open Studios 2018 event gets under way this week on Friday, throughout the Noosa region. 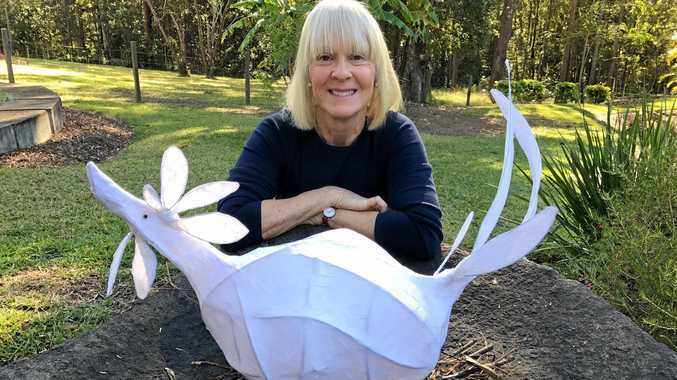 Join this free art trail through Noosa's coastal and hinterland communities for a unique chance to visit the private studios of more than 70 emerging and established artists, along with exhibitions at local galleries. THE annual Sunshine Coast Wildflower Festival starts on Sunday, at various locations around Noosa and the Sunshine Coast. The walks are free, but bookings are essential. Cooroy Mountain Spring Festival 2018 starts on Sunday, at 314 Cooroy Mountain Road, Cooroy from 6.30am-3pm. It's a once-a-year opportunity to climb Cooroy Mountain in the Noosa hinterland, with views to the ocean and across the hinterland. ON FRIDAY watch a special Q&A screening of Food Fighter, hosted by Tewantin Market Garden at Noosa Cinemas, at 6.30pm sharp. Food Fighter follows OzHarvest founder Ronni Kahn's crusade against the global food waste scandal. ARIOSO Chamber Ensemble performs at the Majestic Theatre, Pomona on Sunday at 2pm. Baroque music is heard in movie soundtracks such as Master and Commander, Thor: Ragnerok and Truly, Madly, Deeply. Visit themajestic theatre.com.au or phone 54852330 to book.